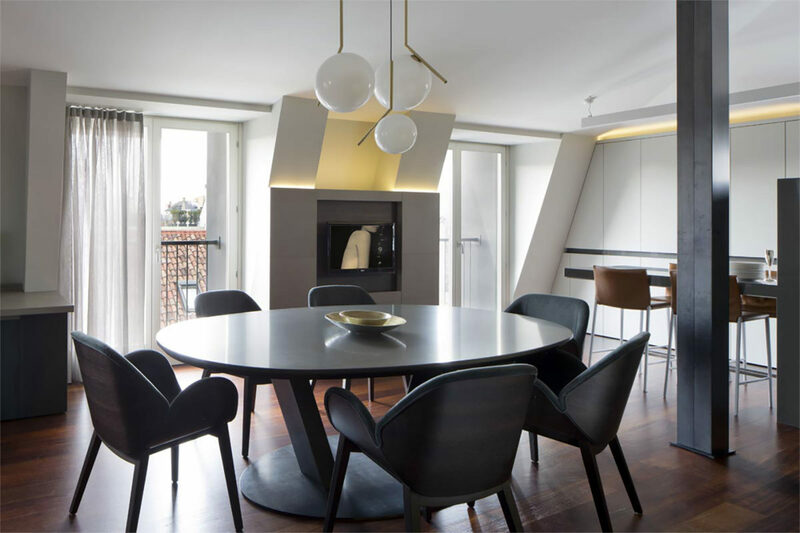 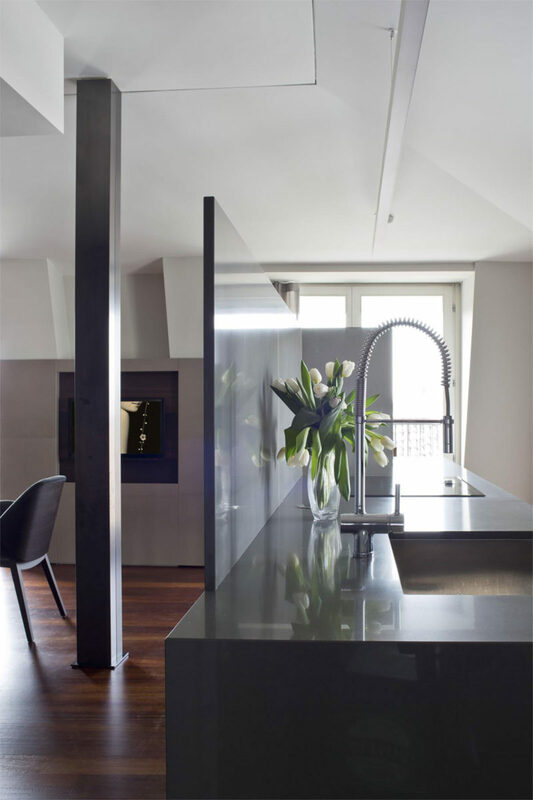 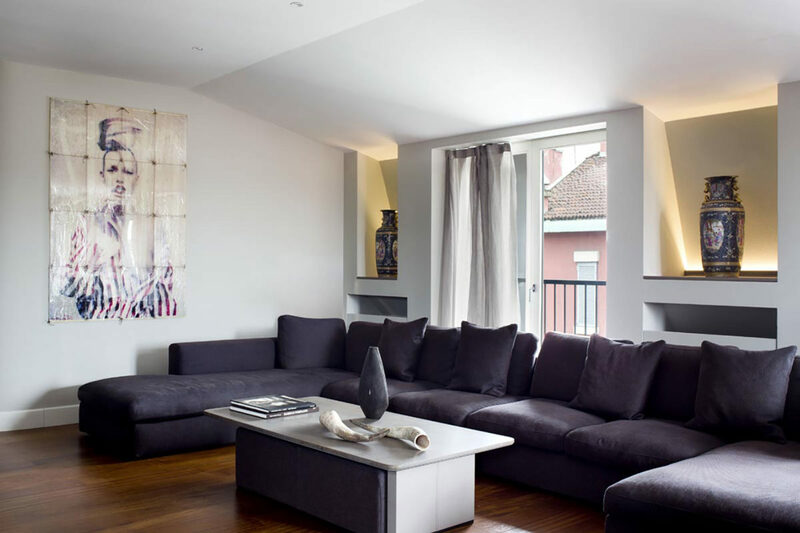 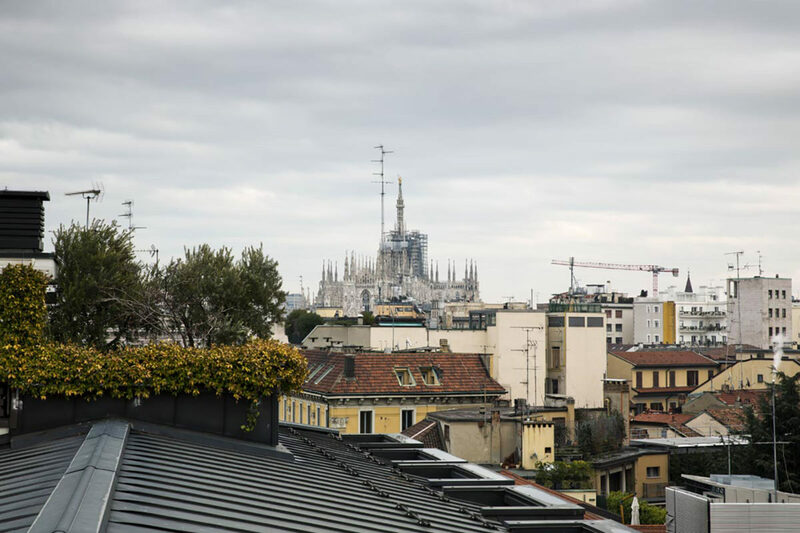 The apartment, in a post-war building of an elegant residential district in Milan, is the result of an architectural intervention that gave a contemporary look to an evergreen theme as that of living in an attic. 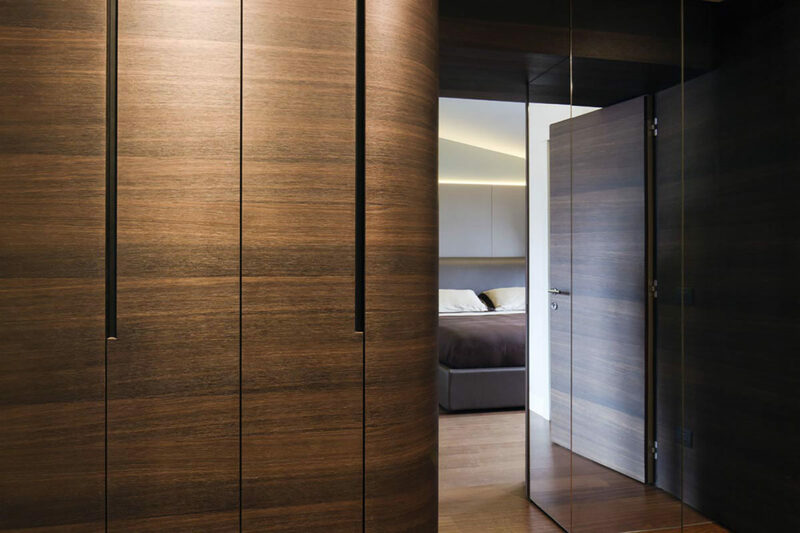 Mario Mazzer Architects firm has designed an interior decor with pure lines using refined materials in warm tones to create an elegant and cozy atmosphere. 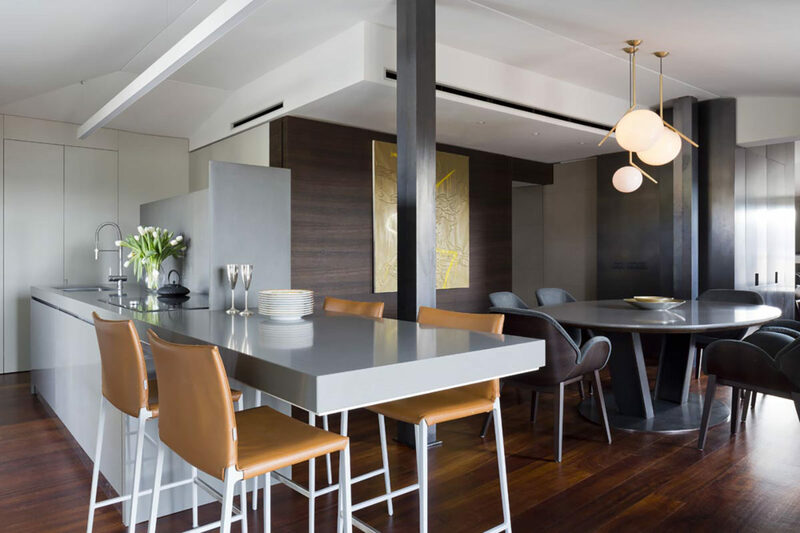 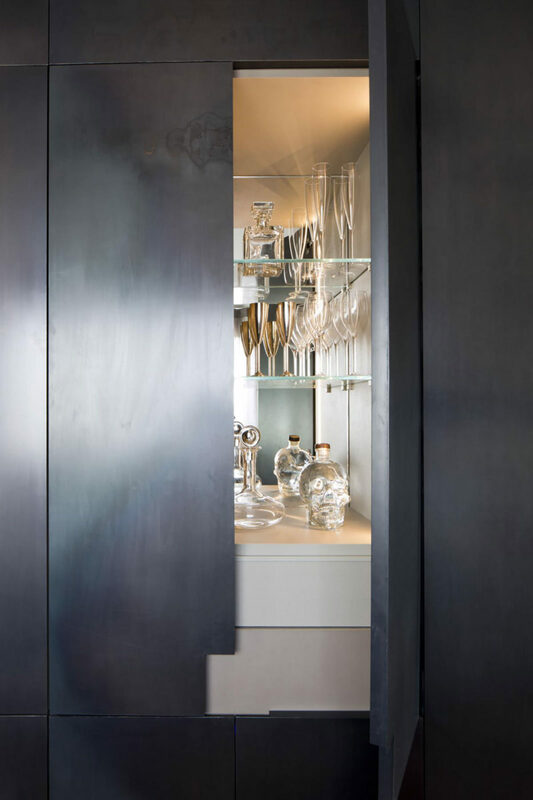 The decor is totally custom-made: the walls are paneled with full-grain leather with visible seams, iron calamine and Spessart oak; the kitchen is a single block covered with Silestone, same material as the dining room table. 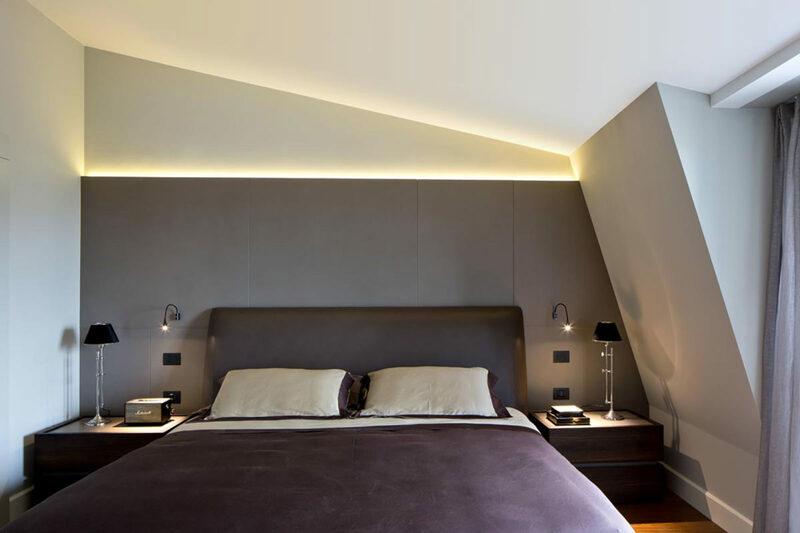 Great importance has also been given to the lighting system: the use of LED strip lights inside the false ceiling has allowed not to interfere with the existing structure. 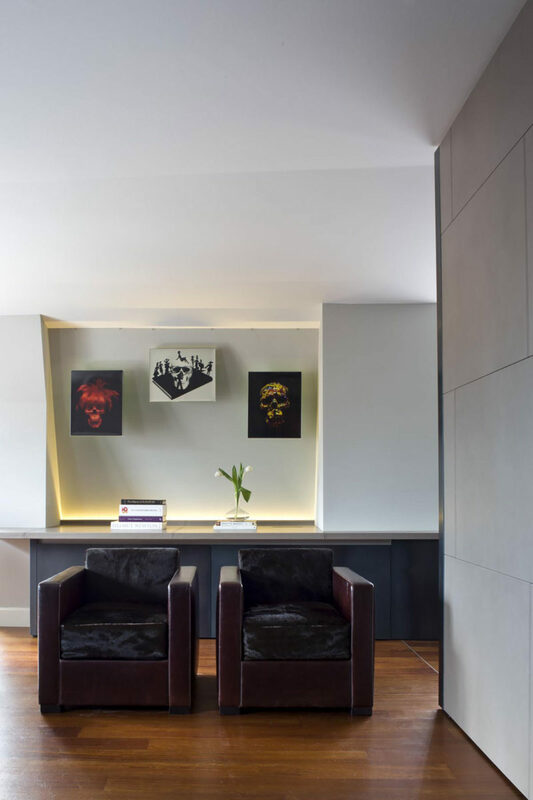 The central volume in the living area hosts the technical utility rooms, creating a very bright open space with natural light and allowing each area to maintain its own privacy. 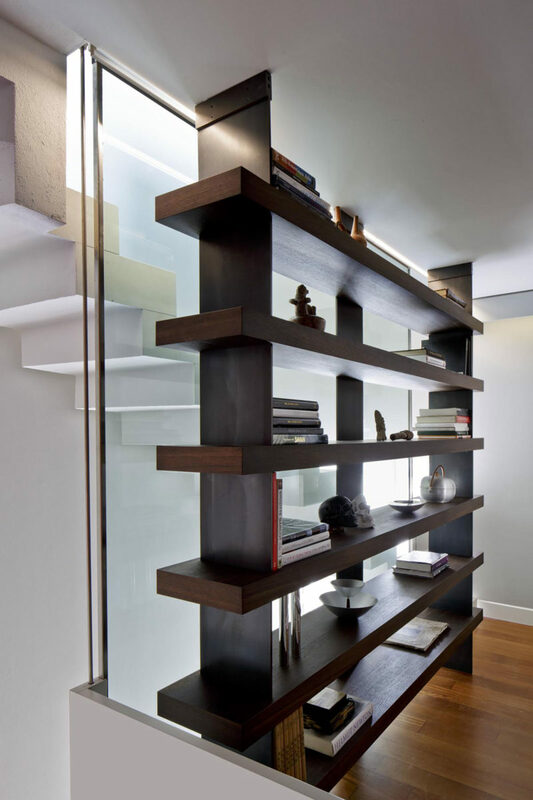 Distinctive of the project is the library in spessart oak and iron calamine that filters the view of the staircase leading to the amazing roof terrace with view over the Duomo and Castello Sforzesco.